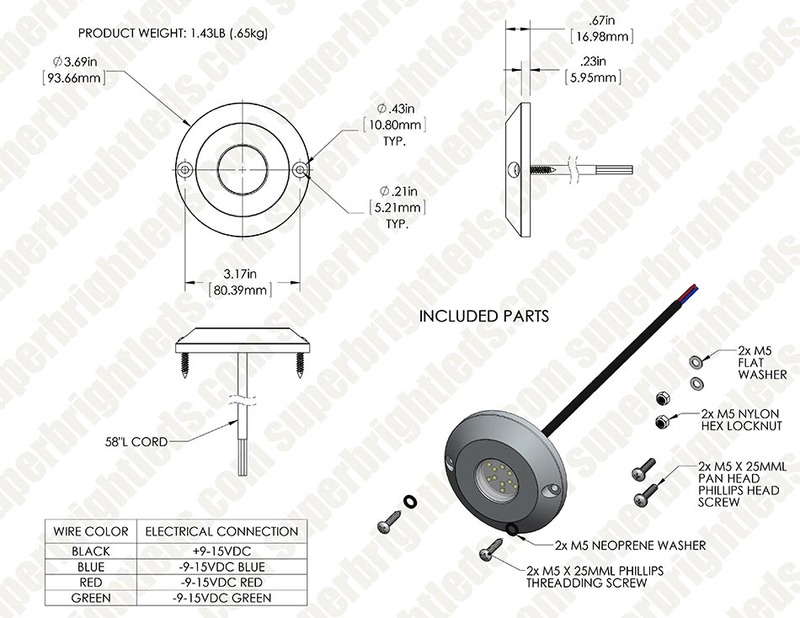 LED Underwater Boat Lights and Dock Lights - RGB Single Lens - 60W: 360° View. 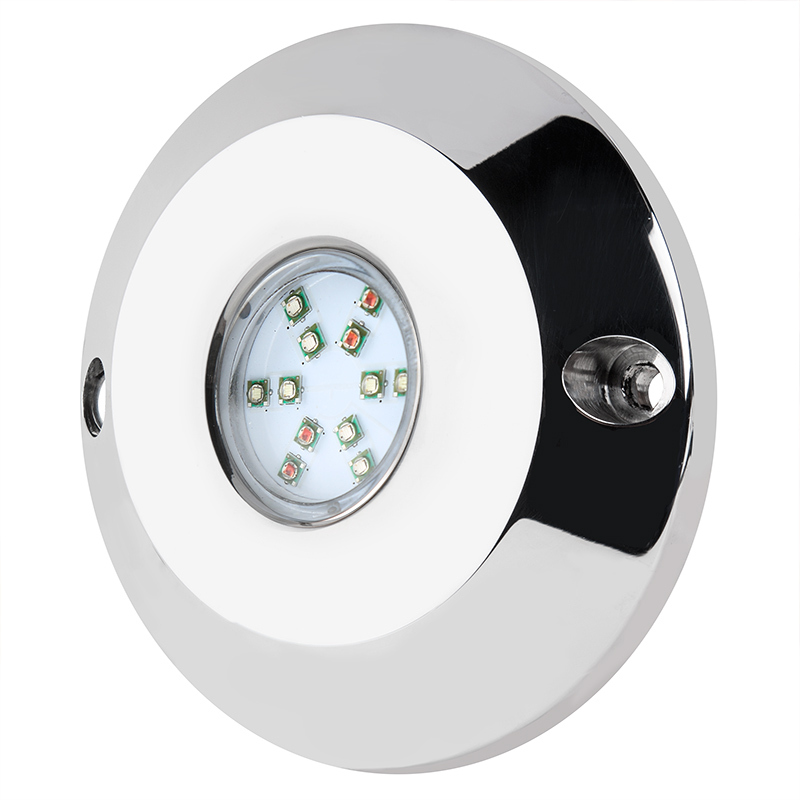 RGB LED Underwater Pool Lights and Fountain/Pond Lights - Single Lens - 60W: Shown On In Green, Red, And Blue Color Modes. 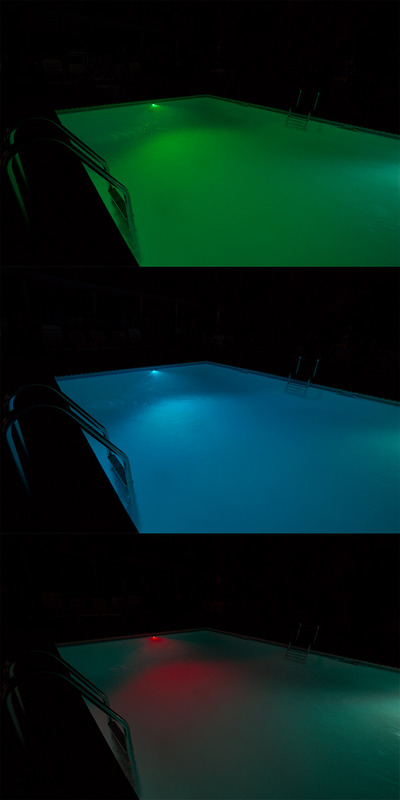 RGB LED Underwater Pool Lights and Fountain/Pond Lights - Single Lens - 60W: Shown On In Blue, Green, And Red. 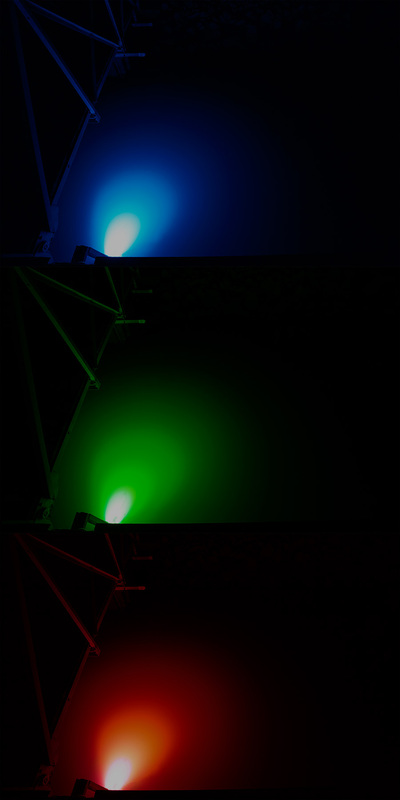 RGB LED Underwater Boat Lights and Dock Lights - Single Lens - 60W: Shown Lighting Pool In Green (Top), Blue (Center) And Red (Bottom) Color Modes. 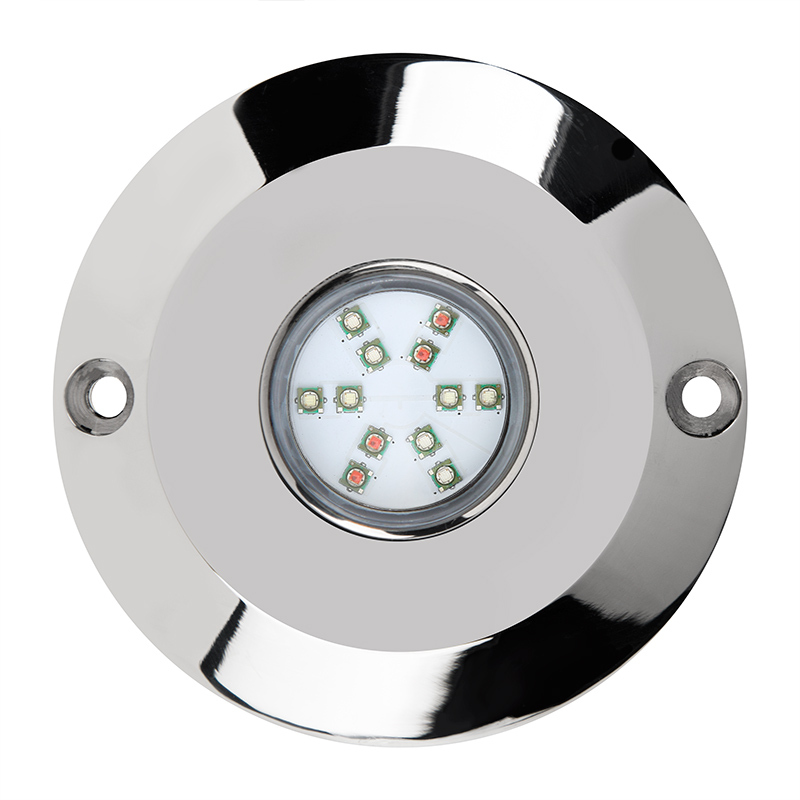 Designed to add color to fountains, pools, and ponds, these underwater RGB LED lights are constructed of a shatterproof polycarbonate lens and 316 marine-grade stainless steel housing. This underwater light uses a combination of 12 red, green, or blue LEDs to produce colorful illumination. 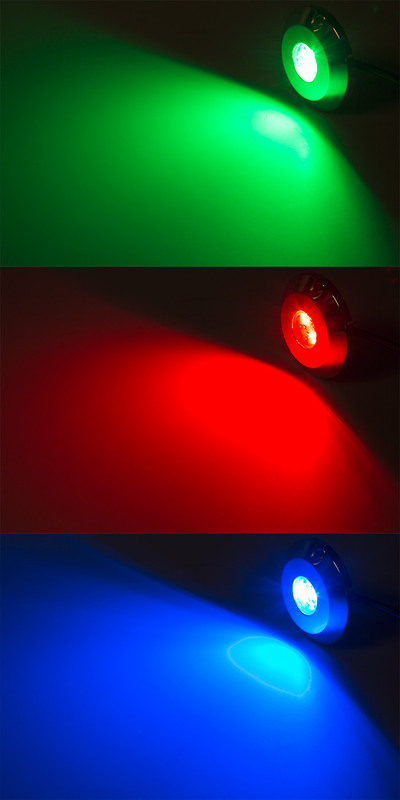 With a compatible RGB controller and RF remote (one controller required per light), the RGB LED light offers 9 dynamic color-changing and single-color modes with adjustable speed and brightness levels. The remote also has a touch color wheel for precise color selection. 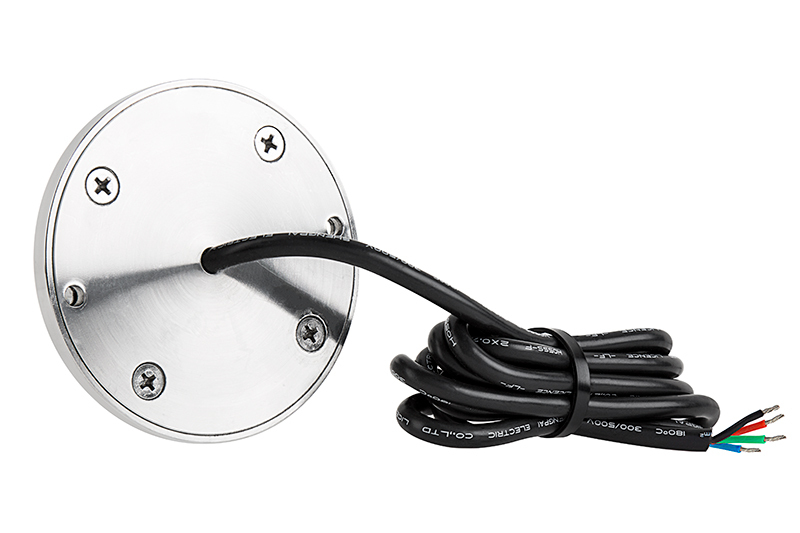 The 60-watt underwater LED pond light or pool light operates within a 9-15 VDC range. Requires DC power supply for use. 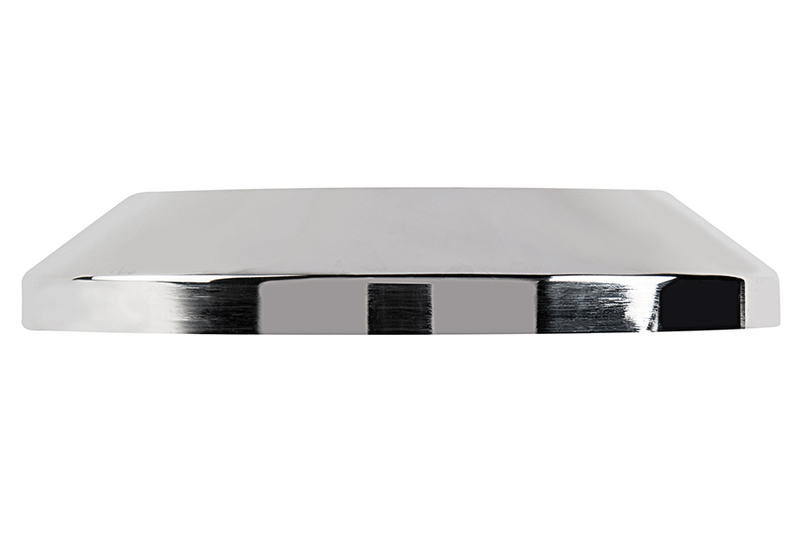 Installation hardware is included for comprehensive mounting. Only wish it were a bit brighter! I've had a project going on for about 4 years, I keep putting RGB strip lights around the outer edge of my above ground pool. Every year I've had to spend hours re-soldering connections, replacing strips, increasing power, installing better insulation, etc. This year, about a week into opening my pool, my strips broke again and I'd had enough. I bought two of these (only one came, the other backordered for 2 months!) and I just dropped it in the water to test it out tonight. The light is amazing and I'm really looking forward to permanently mounting two of these at either side of my pool. I have it connected to a wifi controller from amazon that I can control from my phone and have it change with music or pick colors or fade effects. With just the one that I have connected, I'm pretty happy with the results. However, just two of these lights cost as much as my entire previous setup, clear PVC, wires, power supplies and all, but I think these will work and last much longer!